I received a package with a few different Polymath Products items for my birthday that I am keen to share with you all! 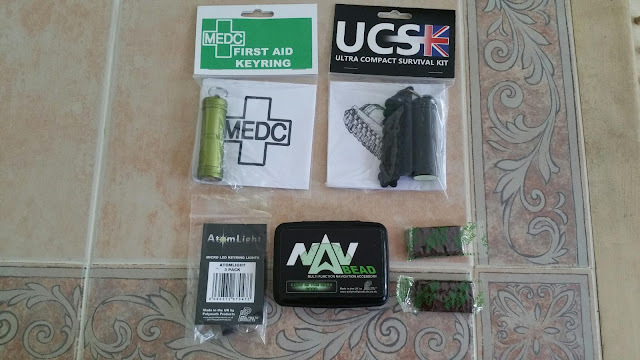 I got a MEDC keyring First Aid Kit, a UCSK Ultra Compact Survival Kit, a pack of Atom Light micro LED torches and the Nav Bead, a glow in the dark compass, personal marker and pace counter. "Polymath Products is a UK-based business that specialises in innovative outdoor products, launched in September 2013 with the highly popular Ultra Compact Survival Kit (UCSK). Since then, Polymath Products has become a leading brand in the compact survival kit and EDC markets, with our unique products now being sold internationally. Fuelled by our own enthusiasm for the Great Outdoors and gadgets, we strive to offer the most practical, well thought-out and exciting products to our customers, while also providing great value for money and exemplary customer service throughout." Although I haven't fully tested my gear yet they are highly rated by many of my friends and high profile members of the survival community so I am confident enough in the quality of their items to recommend them as a company regardless. for me such things are also very interesting. Thank you for the tip, I will check the site and I'm looking forward to your testing. You are always up to interesting things, so I look forward to seeing how you get on with these items. 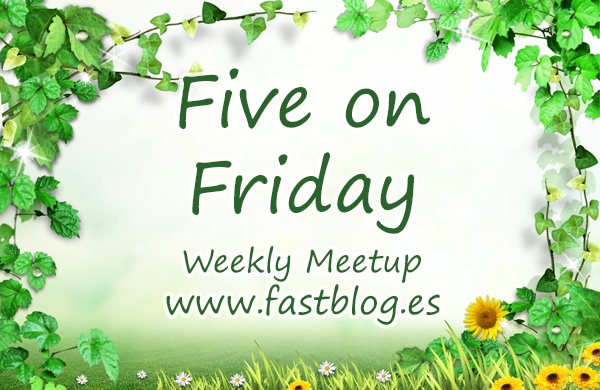 Glad that Five On Friday is still going well, I hope that you are enjoying it! I hope for you that all these things work as you wish, I personally can't do anything with a survival kit, I survive in a very survival friendly environment, lol ! happy friday and happy birthday! getting things in the mail is so much fun...i hope they live up to your expectations! Happy Birthday! Those look like great and fun plus practical gifts! I survive in a very survival friendly environment, lol !